Bette Lee Crosby's characters are so real! In Previously Loved Treasures, a widow struggles to survive after her husband's death, renting out rooms in her home. Her goal? To earn enough money to hire a private investigator to find her estranged son. But then she discovers she has a grown granddaughter too. 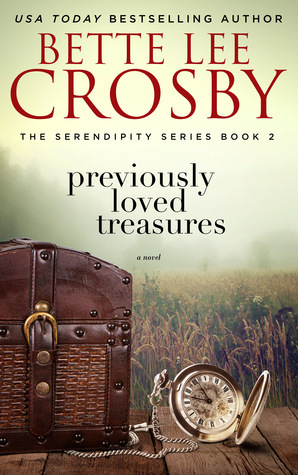 If you enjoy stories with a Southern flair, quirky characters, and a tiny touch of paranormal, you'll like Previously Loved Treasures. This sweet, charming story shows how families can be made up of more than blood relatives... with a little bit of magic and a lot of love. I fell in love with Big Jim when I was seventeen and never stopped loving him. He was the kind of man you can't stop loving. He was like his name says: big. As a baby he was born big, and as a boy he grew into a man with a fullness twice the size of life itself. When Jim laughed you'd swear it was a roll of thunder coming down from heaven, and once he'd made love to you, you knew there'd never be anybody else. I miss Big Jim more than I ever thought humanly possible. If I take a cup from the cupboard, I think about how he liked his coffee. If I put clothes in the washing machine, I start wishing I had one more pair of dirty overalls to wash. 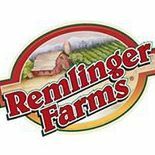 I recently spent an afternoon at Remlinger Farms with my daughter-in-law and granddaughter, and we all had a great time. 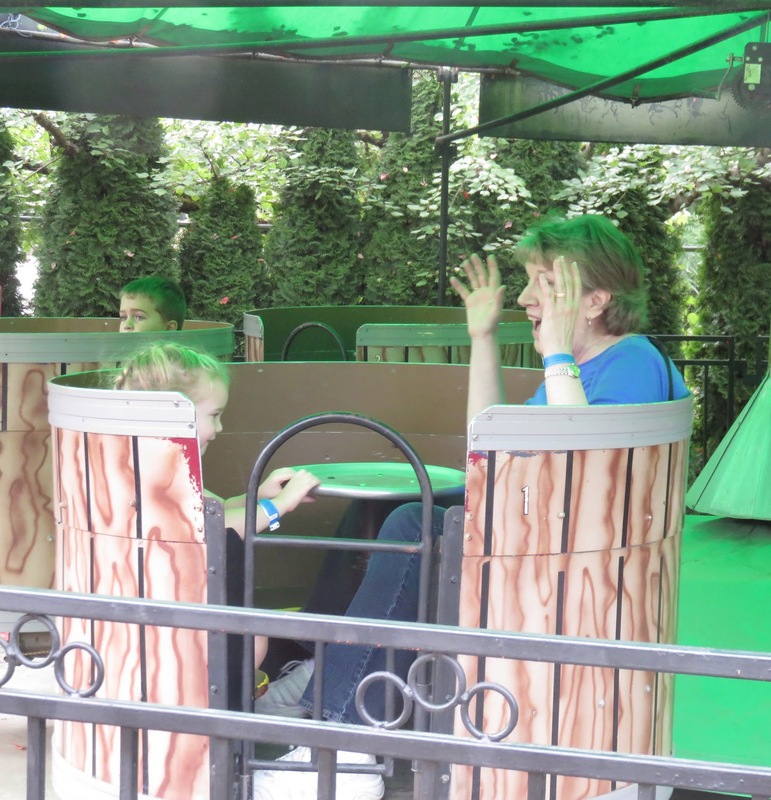 This facility is billed as a family fun park and pick-your-own farm with rides, entertainment and a petting zoo. It's geared to younger children. 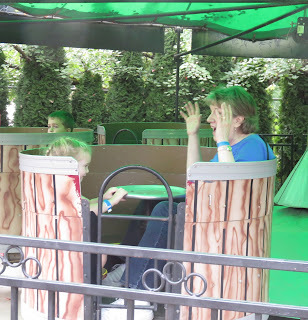 None of the rides were too scary for my four-year-old granddaughter. Remlinger Farms is located in beautiful Carnation, Washington, on the Tolt River east of Seattle. Scarecrows were everywhere! In the trees, hanging on fences, riding bicycles, and turning somersaults. Even grandma had an exciting time. 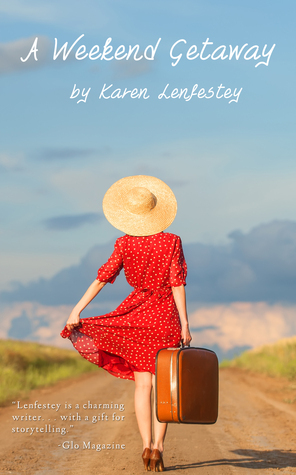 Karen Lenfestey's characters in A Weekend Getaway (the first novel in the three-book Secrets Series) are so easy to relate to. More than once I found myself wondering what I would do in the main character's situation, and I easily understood the decisions Bethany made. I'm only about halfway through the book, so it will be interesting to see how the plot develops. By the way, I've found no grammatical or other errors in this book so far, which I always appreciate. Karen Lenfestey is an indie author who writes "happy endings with a twist." I'm looking forward to reading more of her books. As Bethany tugged the suitcase down the creaky stairs of her boyfriend's Victorian, she kept thinking if he were more of a gentleman, he'd offer to carry it for her. She grunted as if the bag contained more than just a weekend's worth of clothes. Drew didn't take the hint, so she added this infraction to the list she kept in her head, then reminded herself that this would be the weekend that changed everything. Refusing to think about the past anymore, Beth cranked up the Top 40s station on the radio and pushed hard on the accelerator. Even with the music blaring, thoughts about her secret baby and the potential fall-out with Parker and Drew gnawed at her. Could she possibly contain the damage once she opened the lid? FYI: I previously featured Made for Two by this author HERE. Bethany Morris always puts everyone else’s needs first. That's why when she got pregnant in college, she shouldered the burden alone. She had the baby in secret and placed it for adoption. Sixteen years later, she’s patiently waiting for her live-in boyfriend to propose and wondering if she’s missed her one chance at motherhood. Life gets complicated when she runs into the baby’s father and realizes the chemistry’s still there. At first, Bethany and Parker relive the good, old days, but then he reveals that he has the same disease that took his father’s life. Does Bethany owe it to Parker to tell him that he has a child? 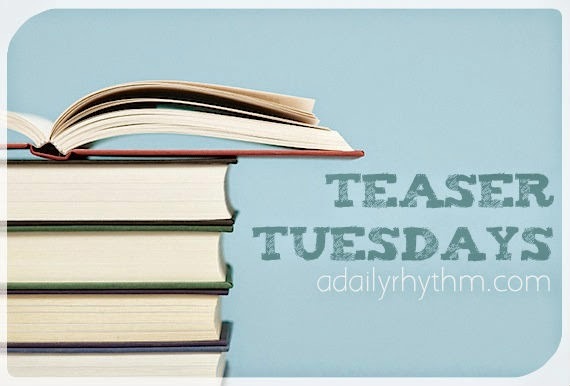 Should she track down the daughter she’s never known just to give her bad news? Risking the comfortable life she’s built for herself, Bethany embarks on a cross-country road trip to face her past and find the daughter she never forgot. 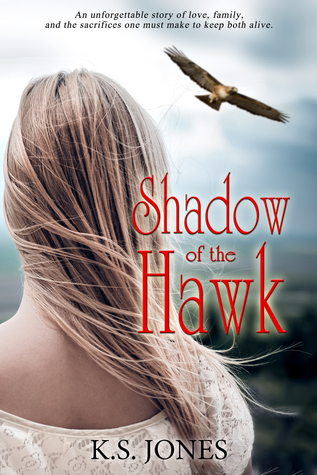 Shadow of the Hawk is so rich in detail and has such a compelling plot that I had a hard time putting it down to go to sleep at night. Seems like one catastrophe after another piles onto the Williams family's shoulders, all told in the voice of sixteen-year-old Sooze. The author's attention to the day-to-day realities of life in rural Arkansas during the Great Depression adds depth to the story without slowing down the action and gave me a greater appreciation for the hardships many people experienced during that era. I found much to admire in the characters K. S. Jones created. I didn't realize Shadow of the Hawk was classified as young adult until I started putting together this post. The book would appeal to all ages. The plot and the themes of family, loyalty, perseverance, and love kept me intrigued until the story's end. The town of Coaldale wound through the timbered valley like a black snake in the dark hole of an outhouse. Folks knew it was there by the grim feeling it posed, but the need to stay overpowered the urge to run. I had lived my whole life in the low-lying basin between the Arkansas Western Railroad and the Poteau River--the only river in the state which flowed north. Fitting, I suppose. It seemed everything had turned around backwards and was running the wrong way. I wasn't blaming God though. A lot of trouble we caused ourselves. I filled two small saucepots with water, set them on the stovetop, and then added kindling to the coal inside the stove's belly and lit it. Our heavy cast iron skillet took two hands to lift onto the stovetop, but as soon as I placed it, I dropped in a glob of butter and readied it for the pork and mush. For the past several years, I've sewn Halloween costumes for my granddaughter. At age two the choice was Little Red Riding Hood, complete with hooded cape. Last year she wanted a doctor's outfit - white lab coat and dark blue scrubs, accessorized with a stethoscope. Now that she's four years old, however, her interests are more "girly," so her choice for Halloween 2015 is a princess costume. 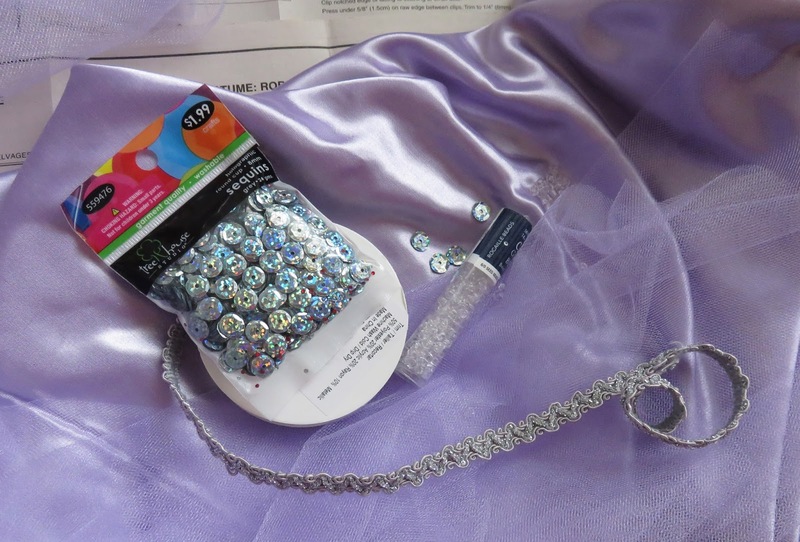 Here's a photo of the raw materials I've gathered for my creation: satiny fabric, shiny trim, tulle, sequins, and beads. Since I haven't done much sewing with these materials, it seems like a good idea to get an early start. Who knows what challenges will arise! I'll post a photo of the finished dress, assuming the reality measures up to the princess gown in my imagination. By the way, the sequins are silver but look blue in my photo for some reason. I've read a couple of other books by Nicholas Sparks and enjoyed them, but someone always seems to die in the end! That's not the case with True Believer. I enjoyed this story of a sophisticated city dude and his experiences in small town Boone Creek, North Carolina. The author's descriptions were vivid and the plot kept me engaged. I really didn't know for sure if the hero and heroine would work things out until the last few pages. I especially appreciated the fact that although the Southerners in the book were quirky and I recognized some of them as people I've met, they were not portrayed as ignorant, bigoted, or close-minded stereotypes. Jeremy Marsh sat with the rest of the live studio audience, feeling unusually conspicuous. He was one of only half a dozen men in attendance on that mid-December afternoon. He'd dressed in black, of course, and with his dark wavy hair, light blue eyes, and fashionable stubble, he looked every bit the New Yorker that he was. As he climbed the steps to the front door, conversations quieted and eyes drifted his way. Only the chewing continued, and Jeremy was reminded of the curious ways cows looked at you when you approached the pasture fence. Jeremy Marsh is the ultimate New Yorker: handsome, almost always dressed in black, and part of the media elite. An expert on debunking the supernatural with a regular column in "Scientific American," he's just made his first appearance on national TV. When he receives a letter from the tiny town of Boone Creek, North Carolina, about ghostly lights that appear in a legend-shrouded cemetery, he can't resist driving down to investigate. Here, in this tightly knit community, Lexie Darnell runs the town's library, just as her mother did before the accident that left Lexie an orphan. Disappointed by past relationships, including one that lured her away from home, she is sure of one thing: her future is in Boone Creek, close to her grandmother and all the other people she loves. Jeremy expects to spend a quick week in "the sticks" before speeding back to the city. But from the moment he sets eyes on Lexie, he is intrigued and attracted to this beautiful woman who speaks with a soft drawl and confounding honesty. And Lexie, while hesitating to trust this outsider, finds herself thinking of Jeremy more than she cares to admit. Now, if they are to be together, Jeremy Marsh must make a difficult choice: return to the life he knows, or do something he's never done before--take a giant leap of faith. 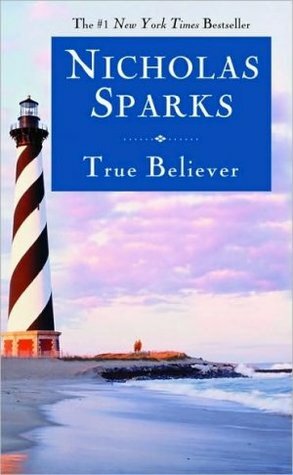 A story about taking chances and following your heart, True Believer will make you, too, believe in the miracle of love.